Before having a look at the price list of Nokia Mobiles, you might want to know a bit about the Finnish company that was once the world's largest mobile phone brand. Founded way back in 1865, it was first started as a pulp mill near the town of Nokia in Finland and then expanded to produce rubber and generate electricity. It soon merged with two other firms and started manufacturing cables, electronics, personal computers, TVs and mobile phones. Nokia phones were known for their excellent build quality, innovative designs, and imaging capabilities. By the late 1990s and early 2000s, Nokia became the world's largest smartphone brand, backed by Symbian OS-powered hit phones like the Nokia 6600 and the Nokia N90 as well as feature phones like the Nokia 3310 and Nokia 1100. Nokia missed out on making good touchscreen smartphones and handed over the market to the revolutionary iPhone as well as Android-based smartphones, leading to its downfall in 2010 as it stopped the development of MeeGo and decided to focus on smartphones solely with Microsoft Windows Phone under the Lumia series. Later, the mobile phones arm of Nokia was sold to Microsoft and eventually shut down. HMD Global then acquired the Nokia branding and started selling Android-based smartphones and tablets in late 2016. 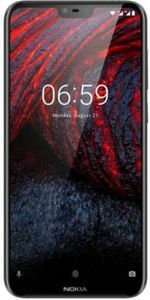 The Nokia 6 and the Nokia 7 Plus is one of the best-selling Nokia phones of late and the arrival of Nokia 7.1 Plus and the Nokia 9 is being awaited by many. 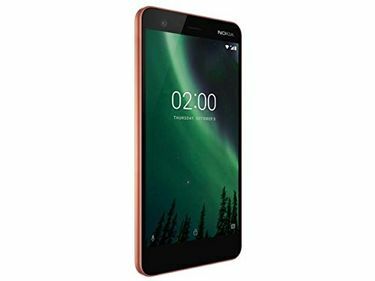 You can have a look at the latest Nokia mobiles' features and specifications on this page as well as the Nokia mobiles price list, featuring the best and lowest prices of the handsets. 1. 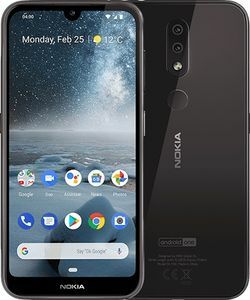 What are the Android phones from Nokia? 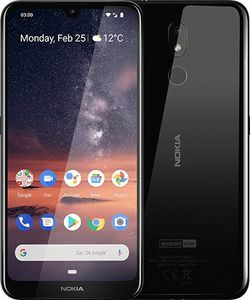 As of November 2018, all HMD Global devices starting from the Nokia 1, all the way to the Nokia 8 Sirocco are Android smartphones. 2. When will the Android phones from Nokia release? 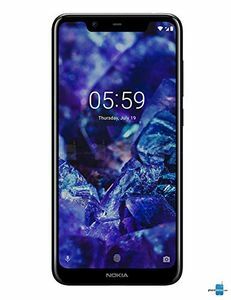 Nokia began releasing smartphones loaded with Android OS back in 2017. 3. What are the latest Nokia feature phones? As of November 2018, the latest Nokia Feature phone is the Nokia 8100 4G which retails for Rs. 6,999. 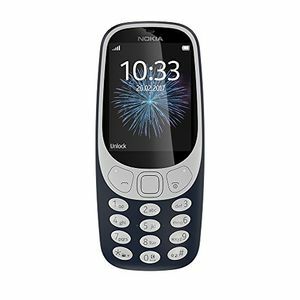 A more affordable option would be the Nokia 3310 Dual SIM which is priced at Rs. 3,310. 4. How is the durability of the new Nokia feature phones? Nokia has always been known for making some of the most rugged phones out there. The new Android lineup from Nokia is no exception as these handsets still offer top-notch build quality and durability. However, glass-backed smartphones will always be susceptible to scratches and cracks. So a case is advisable for such devices. 5. Do Nokia Windows phones support VoLTE (Reliance Jio)? Yes, all Nokia Android Smartphones come with support for VoLTE and will work with Reliance Jio SIM cards. 6. Which is the best Nokia feature phone for the camera? Feature phones are generally not known for their imaging prowess. Pretty much all the devices in this category offer less than ideal camera units. 7. What are the Nokia feature phones priced below Rs 2000? Under Rs.2,000, feature phones currently offered by Nokia include the Nokia 105, Nokia 130 and Nokia 206. 8. Do the latest Nokia Android phones come with Carl Zeiss camera? Only the top-end Android smartphones from Nokia offer cameras with Zeiss optics. The Nokia 8 Sirocco, Nokia 8, and Nokia 7 Plus are some of the smartphones from the Finnish company to come with such cameras. 9. Can I use Whatsapp in Nokia feature phones? As of November 2018, Nokia features phones haven't yet received access to Whatsapp. 10. Do Nokia feature phones support local Indian languages? Yes, Nokia Feature phones do offer support for various English languages including Hindi, Marathi, Gujarati, Tamil, etc. 11. What is the new phone of Nokia? 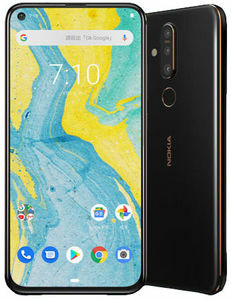 As of November 2018, the latest Android smartphone released by Nokia in India is the Nokia 3.1 Plus. it is priced at Rs.11,499. 12. Which is the best Nokia Phone? The Nokia 8.1 Sirocco is Nokia's highest-specced smartphone it has released so far. The device comes with a flagship Snapdragon 835 CPU paired with 6GB of RAM and 128GB of storage. This is priced at Rs. 36,999. 13. Are Nokia Phones good? Nokia phones are part of Google's Android One initiative, meaning they offer one of the most untampered and bloatware-free versions of Android. These phones are also one of the most durable and rugged you can find. With their excellent display panels and Zeis optics lenses, Nokia phones tend to offer great imaging capabilities on top of a vibrant viewing experience. 14. How do I find out what model my Nokia phone is? Checking model number on Nokia Android phone is the same as any other Android handset. Go into Settings->About phone to know all the details. 15. How do I set up speed dial on my Nokia? There is no straightforward way to set speed dial on Nokia smartphones with current versions of Android OS. However, you can set shortcuts to specific contacts on the home screen for quicker access. 16. Does Nokia make Android phones? 17. Are Nokia phones durable? Nokia has released a new software update for the Android 9 Pie-based Nokia 7 Plus. The Android 9 Pie OS was first rolled out to Nokia 7 Plus devices in September, making it the brand's first handset to run Pie. Now, a new update adds Google Lens and Google Motion integration to the camera of the device, apart from revamping the camera UI. The new camera version is 9.0, and the software update adds November security patch to the device.